There are many benefits of being CEO of an organization like CHIME. But for Russell Branzell, who has held the post since 2013, it’s leveraging your own experience – as well as that of those around you – to remove the obstacles that stand in the way of achieving the ultimate goals of health IT leaders. It’s putting into place policies that make the CIO’s job more manageable. Perhaps the best example is Healthcare’s Most Wired program, now managed by CHIME, which has become more than just a survey. It’s a benchmarking tool that can benefit not only those who achieved high marks, but also those who didn’t. “I wish I would’ve received that type of feedback as a CIO,” noted Branzell. 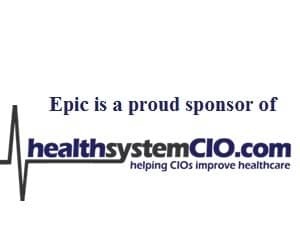 Recently, he spoke with healthsystemCIO.com about the changes CHIME has incorporated into the Most Wired program, the tremendous impact the Opioid Task Force has made in a short time, why collaborating with leaders abroad is so beneficial, and what he looks forward to most at the Fall Forum. We thought, ‘why not us? Why shouldn’t we do what’s within our empowerment?’ And beyond that, it’s our obligation. We have a responsibility to the industry to not only steward the resources we have, but also to make an impact. Were we completely ready to respond? No. But is the network of people and telephone numbers and texts coming into place so that we can create a global environment to combat cyberattacks? We think so. There’s so much upside in this area, and we want to be stewards in guiding this along. We’re not in this to make money. We want to create a network that enables organizations to share and work together. And so, where we see a need and a desire, that’s where we’ll focus our support. It’s a recognition of the hard work your team has done. You want them to be recognized. But more importantly, the outcome of this has to be quality feedback, which gives leaders the ability to take true action and educate the organization on how to move forward and make the right investments. 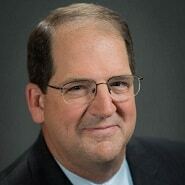 Gamble: Hi Russ, thank you as always for taking some time to speak with healthsystemCIO.com. Branzell: Of course. It’s my pleasure. Gamble: There are quite a few topics I want to discuss, but let’s start with CHIME’s efforts to address the opioid epidemic. I remember when it was announced at last year’s Fall Forum that CHIME would be creating a Task Force. Considering it was launched in January, it’s very impressive what it has already accomplished. How did this initiative buck the trend and get off to such a fast start? Branzell: Part of it is the fact that the motivation in doing it was so sincere and heartfelt. One of our longtime and founding members, Ed Kopetsky, lost his son to opioid addiction last year, and it created a catalyst within the organization — not just because it is such a big issue, but because, in doing some reflection, we thought, ‘why not us? Why shouldn’t we do what’s within our empowerment?’ And beyond that, it’s our obligation. We have a responsibility to the industry to not only steward the resources we have, but also to make an impact. This was a perfect opportunity for CHIME to take this to the next level by making a direct impact on the health and care of individuals both in this country, and around the world. And we’re doing that, thanks to the great leadership of Ed Kopetsky, Jim Turnbull, and countless others who have given their own time to help drive this. It’s one of the greatest examples I’ve seen of a noncompetitive, truly collaborative effort. We had senior representatives from the largest EMR companies in the world and leaders from several consulting firms pledge their time and resources to this, simply because it’s the right thing to do. I’m really gratified to see the impact that’s been made in a very short period of time by people who have put aside their differences to rally around the right cause, at the right time, for the right reason. Gamble: What is the main focus on the Task Force now, and how does it hope to keep up the momentum? Branzell: We’ve divided the group into sub-components that have clear responsibilities, whether that be industry engagement or best practice sharing. We believe this positions the Task Force well to march on and continue to focus on the activities that can have an impact, one of which is to create an open and easy conduit for best practice sharing. For example, after we did a webinar with Geisinger, we received a number of notes from organizations who are working to adopt some of their strategies. And although they may not hit 60 percent prescription reduction, they’re able to make improvements because an organization like Geisinger was willing to share their strategy, with no expectation of return. And in fact, it probably hurt their bottom line. We’ve had people tell us their organizations have reduced opioid prescriptions by 5, 10, or even 30 percent in two months. That’s amazing when you think about how long it normally takes to make that type of difference. But it’s exactly what we’re trying to do; we want to level the playing field. We want to flatten it out completely and get materials out as fast as we can. Part of our goal for 2019 is to publish an opioid management playbook based on best practices that are out there. We want to help people learn what tools and processes have been effective, and adopt them quickly. Gamble: I’ve been so impressed by Ed’s willingness to take this on. I can’t imagine how difficult it must be, but I believe having him speak about it can really help push things forward. Branzell: I don’t think I would be as strong as he and his wife Janet have been. It says a lot about who they are as people, and what their son means to them to be able to use a terrible situation to create a better outcome. I’m very proud of them. Gamble: What are some of the other areas that have a big potential for improvement through best-practice sharing? Branzell: One area is cybersecurity. I know healthsystemCIO.com did a webinar on this topic recently with the Board Chairs of CHIME (Cletis Earle) and AEHIS (Erik Decker). Those are two very bright people, and they’ll tell you that nothing can flatten the playing field faster than cybersecurity issues. And while we still have a lot to do in terms of connecting, networking, and sharing best practices, we’re creating an ecosystem of individuals who can truly help each other out. It wasn’t too long ago when we dealt with WannaCry. We were getting phone calls from CHIME and AEHIS members asking, ‘Are you seeing this?’ And within minutes, it started propagating across the country. And so, were we completely ready to respond? No. But is the network of people and telephone numbers and texts coming into place so that we can create a global environment to combat cyberattacks? We think so. There’s so much upside in this area, and we want to be stewards in guiding this along. Gamble: Let’s switch gears a bit and talk about CHIME International. This seems to have really taken off in the last few years. What has the faculty learned by visiting other countries and speaking about the state of health IT? Branzell: I find it very interesting. I’ve done a lot of travelling internationally during the past three or four years, and there’s this perception that healthcare is very different in other countries from what we have in the United States. What we’ve learned is that the trials and tribulations of health IT really creates a leveling field for the industry. For the most part, the problems are the same — getting organizations to adopt IT, dealing with change management, and creating outcomes and value realization. All of these things are consistent across the globe. And despite how much of the GDP is spent on healthcare — whether it’s 1 or 2 percent, as with some countries, or much more in our case — there is one consistent theme: nobody wants to spend more money. Everybody wants to spend less on healthcare. If we can help facilitate improvements in care and safety while leveling (if not reducing) the cost of care by sharing the knowledge we’ve garnered both within and outside of the United States as part of a cohesive environment of best practice sharing, then we’re doing our job well. If you look at what we’ve done with research and clinical trials, it’s amazing. But there are many things we haven’t done well, and for us to spend a decade or two figuring this out when there are other markets we can learn from through our membership base of more than 50 countries, would be a waste. Our job is to connect all those dots, and to use this opportunity to create global learning on a wider scale than ever before. Gamble: Right. I remember that when this first kicked off, some members questioned whether it was the best use of CHIME’s resources, arguing that there’s enough to focus on in our own backyard. Is that still the case, or is the tide starting to turn? Branzell: We would be naïve to believe everyone understands it and is onboard. In the end, we want to make sure we’re doing our best to support our members, no matter where they’re from, what they’re doing, and how they’re doing it. If you look at the domestic programs we’ve added during the past few years, whether it’s the Most Wired program or our Knowledge Hub, we’re trying to up our game for all members. And it’s not all separated. We’ve had some great learnings from people like Richard Corbridge, who is Chief Digital and Information Officer at Leeds Teaching Hospitals in the UK. Why should it matter where a member is from if we can all learn from him or her? My goal is to create a system where a question like that wouldn’t even be asked, because people realize the benefits it offers to learn, network, and support both their organizations at a micro level, and the ecosystem at a macro level. Gamble: What are the plans for CHIME International going forward? Branzell: One of things we said from the very beginning is we only want to provide support in areas where we’re needed. If a country doesn’t want help in a particular area, we’re going to respect that. We’re not in this to make money. We want to create a network that enables organizations to share and work together. And so, where we see a need and a desire, that’s where we’ll focus our support. And that means we need to have some very good conversations. We need to be very thoughtful and diligent in engaging with both public and private sector leaders to determine where the needs exist. We’ve found that there’s a strong desire for professional collaboration, education, and networking, and we’ve only tapped a small percentage of that so far. Gamble: Let’s talk about Most Wired. This is the first year CHIME will oversee the program — why did the organization decide to take that on, and what are some of the changes CHIME has made to the process? Branzell: Several years ago, CHIME become involved in the survey process as AHA was trying to figure out where the program needed to go. We did a pilot with them for a few years, then took a break from the program. Eventually, AHA decided that Most Wired would thrive better under CHIME’s management and stewardship, and so it was moved to our plate. We wanted to make sure it continued to serve the industry, and so we gathered quite a lot of feedback as how to start the journey of updating and improving this resource. We created a Board of Governors made up of industry experts, none of whom are active in provider-side roles, to ensure it was unbiased. We then provided the group with some strong principles, the first of which is to ensure it is representative of the industry as a whole, and not just specific areas of health IT management. This way, the survey could grow in scope and responsibility underneath the whole umbrella of IT or IS management. The other is to ensure it continues to mature as the industry changes. This was to be a living, breathing process for benchmarking organizations and helping all organizations to move forward and achieve results from the investments they’re making. Gamble: With any benchmarking initiative, I would think it’s critical to be transparent when it comes to who is making the decisions and how. I’m sure that can make a big difference. Branzell: Absolutely. And for CIOs, it’s a recognition of the hard work your team has done. You want them to be recognized. But more importantly, the outcome of this has to be quality feedback, which gives leaders the ability to take true action and educate the organization on how to move forward and make the right investments and see the value of that money spent. I’m absolutely thrilled with the work that’s been done on the benchmarking report. The report every organization receives is a world-class document. As someone who was a CIO for nearly 20 years, I wish I would’ve received that type of feedback; that roadmap of the areas where we have the greatest opportunity to improve. I’ve had numerous CIOs express their extreme gratitude at having a document they can use to educate their board, their senior management, and their teams on where the organization really stands. I remember one moment when a CIO came up to me at a user event and said, ‘Thank you so much for not selecting us for Most Wired.’ I thought I was going to get yelled at, but instead, she told me that she knew one of the hospitals shouldn’t receive this level of award. When they received in the past, it hurt their ability create a positive change and take the right steps moving forward. Getting feedback that enables CIOs to clearly demonstrate where the rest of the industry is going was exactly what that organization needed. To me, that means we’re doing our job. Gamble: Very interesting. Finally, let’s talk about the Fall Forum, which is coming up quickly. What do you look forward to most at this event? Branzell: Selfishly, I will say that it’s having a chance for everyone to network and reconnect. There’s something unique about this group of people and the environment they come into, where it’s not, ‘what are you doing at your organization?’ It’s like a big family reunion in which people come together to support each other and find ways to really connect. We want to make sure we are great stewards of creating an environment where that can reach its maximum potential. That might mean having one less session so people can have a little bit more networking time, or making sure we’re booking the right speakers, given the pressure points and issues that are prevalent in the industry right now. And it’s not just CIOs or CMIOs. It’s also our foundation partners as well — they’re under just as much pressure, sometimes more. No matter who’s sitting in the audience, who’s at an event, or what they’re working on during, we want to make sure everything is being done on a world class level, and it’s being done to meet the needs of individuals and organizations. Our Planning Committee has put together an amazing event, and I think it will be a great opportunity for people to decompress a little, while also connecting with peers and preparing for the future. This year is also special because it’s the 25th anniversary of the CHIME Foundation, and the first year we’re celebrating the Most Wired program under our management. We have our excellent keynotes — author Daniel Pink, Bloomberg anchor Emily Chang, and Dr. Sanjay Gupta — as well as our track sessions, Leadership from the Edge, and so much more. It’s a lot to squeeze in during a few days, and a lot of moving parts, but we can’t wait. Gamble: Great. Well, I think that about wraps it up. Thanks again, and I look forward to seeing you in San Diego. Branzell: Sounds wonderful. I look forward to seeing you and Anthony.